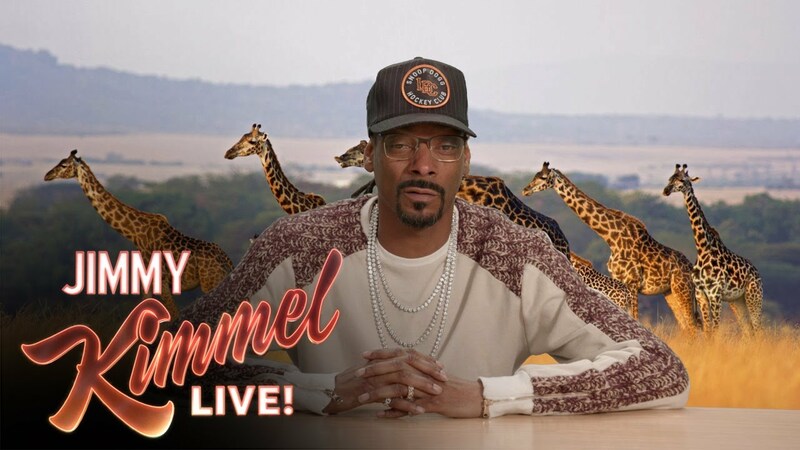 Snoop Dogg has narrated Planet Earth II in his latest instalment of Jimmy Kimmel’s Plizzanet Earth spoof nature documentary and the results are brilliant. Fans of David Attenborough’s popular documentary series will remember an intense chase-scene involving a lizard and a snake. Snoop has now narrated the moment in his own amazing way. At one point he hilariously compares the scene to ‘his homeboys when they’re running from the police’. Watch Snoop Dogg’s ‘Plizzanet Earth’ version above. Meanwhile, Snoop Dogg recently appeared in the official music video for his TLC collaboration ‘Way Back‘.